If you have to run in the dark, here are a few rules to follow that will keep you running safely for years and miles to come. Fitting in a run at night often means running in the dark and that means being extra cautious about where and how you run. 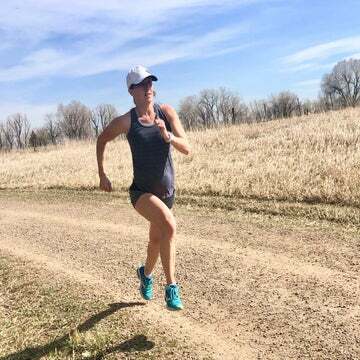 It’s a given that we should practice running safety every time we go out, regardless if it’s a midday 5-miler or a quick nighttime jog, but running at night poses a greater threat to our unprotected bodies against motorists, unmarked ditches, potholes and attackers. It’s easy to zone-out or contemplate what’s for dinner on a long run, but it’s important to pay attention to your surroundings as well. Simply being aware can be the difference between minutes or seconds of preventing an accident, especially in the dark when it becomes harder to distinguish objects from people. 2. Run a familiar route. Tonight is not the time to explore that remote trail or plan a new route through the neighborhood. Stick with the paths you’ve ran a million times to the point where you’ve memorized every tree, corner and building along it. However, don’t run the same route every night either. This may create a pattern for unwanted creepers to track you. Instead establish the routes you’re comfortable running and switch it up every other night to keep it random. 3. Carry an ID on you. Whether it’s a driver’s license in your pocket or an ID bracelet, it will prove useful if first responders need to identify you and contact loved ones. Facing traffic as you run not only provides drivers a clear view of what’s ahead of them, but also gives you a visual of oncoming vehicles in case you need to make any last-minute maneuvers. If possible, try avoiding rush hour times—the less cars you have to deal with the better. If you find headlights blinding, wear a cap or visor. 5. Run with a buddy or join a running group. As cliché as it may sound, safety is truly greater in numbers. 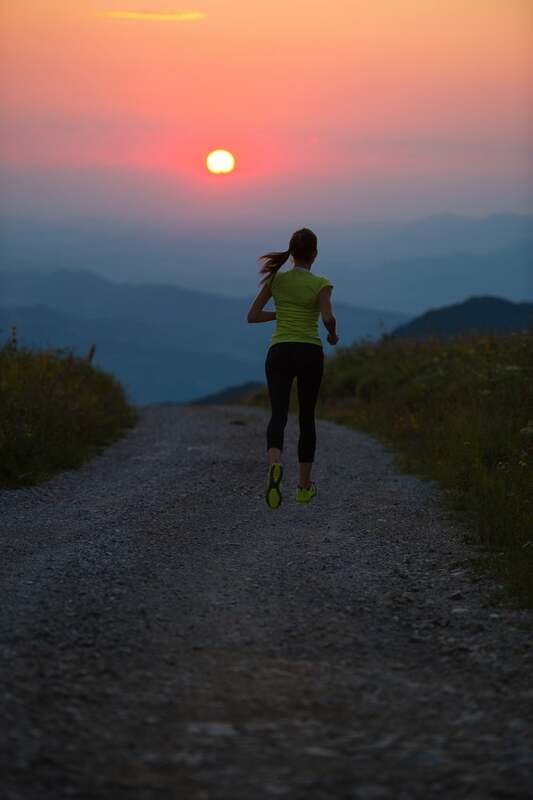 Women should especially avoid running solo after dark in poorly lit areas. A phone can prove useful for utilizing special tracking apps and/or simply to call someone when you’re in a pinch. With a push of a button on your phone, the free bSafe app sends an emergency message or calls designated friends who can respond and even locate you on a map. You can also download the free Road ID app that allows emergency contact info to be displayed on a smartphone even when it’s locked. It also has an additional feature called eCrumb that tracks runners via GPS, allowing friends and family to follow you during a workout. Luckily, many people tend to run with their phones, but if you’re the type who likes to stay off the grid while running, perhaps it’s wise to reconsider, at least for night running. Or if you must listen to music, leave a single earbud in so the other ear can hear for oncoming cars, trains—and even people. According to last year’s study from the University of Maryland Medical Center in Baltimore, incidents involving pedestrians wearing headphones hit by cars and trains have increased threefold in the past six years. The worst part is that in 70 percent of those incidences, the runner or walker was killed. 8. Wear reflective or brightly colored clothing. These days there’s plenty of neon, light-reflecting run apparel and shoes designed for the night-conscious runner. Wearing a headlamp also helps to light the way and works to alert vehicles of your presence before it’s too late.